There are a number of public education programs that are facilitated by the Niagara Falls Fire Department. These programs contain a broad range of content that educate everyone from young children up to our seniors – and everyone in between! Some highlights of the programs available are TAPP-C (The Arson Prevention Program for Children), Emergency Preparedness, Risk Watch, and Older & Wiser – to name a few. 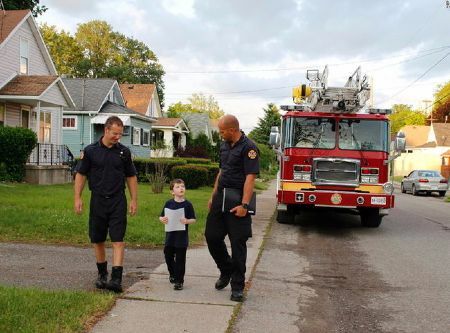 The overall objective of these programs, and any program offered by the Niagara Falls Fire Department, is to educate the public on the dangers of fire, provide information to prevent these fires and, in the unfortunate instance a fire occurs, provide the tools to ensure safe evacuation.